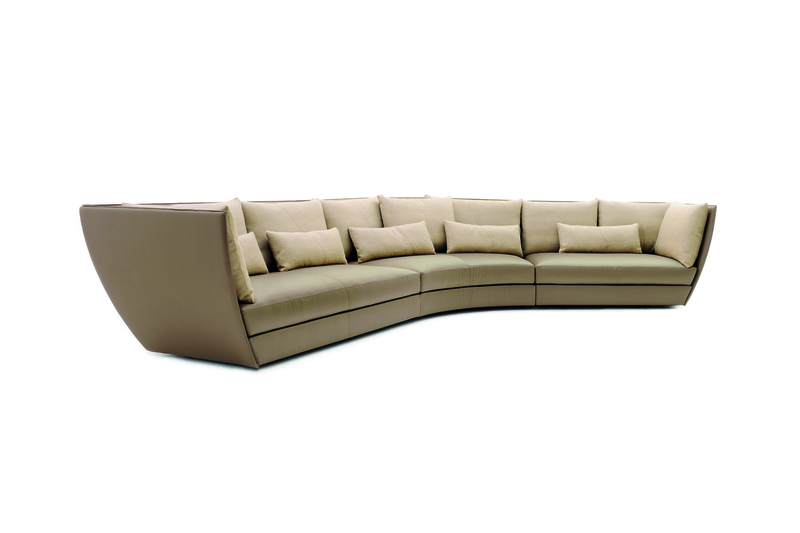 Dhow is a series of luxurious curved sectional sofas, which give a wide range of possible arrangements due to the elegant modular system. The structure of the base is in solid fir-wood and the back in curved poplar plywood. 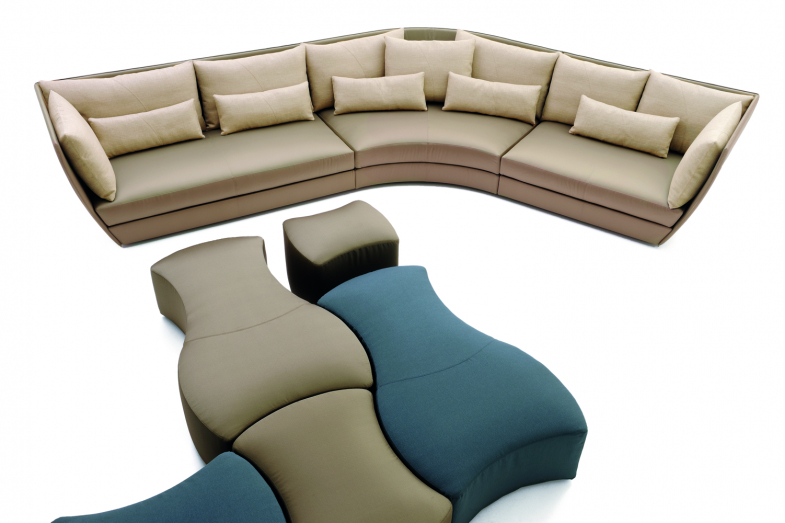 The padding of the seat and the seat cushion is in flexible multi-density polyurethane covered in fibre. The back cushions are in goose feathers and are available in three sizes with a special seam design. The fabric or leather upholstery is completely removable. In the case of a totally plain colour the cushions are included with the sofa, while if a different colour to the sofa is desired they are to be considered separately. The feet are in black PVC.